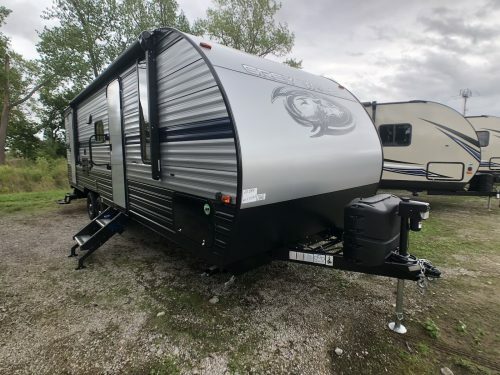 The Grey Wolf by Cherokee RV is one of the hottest selling travel trailers on the market today. 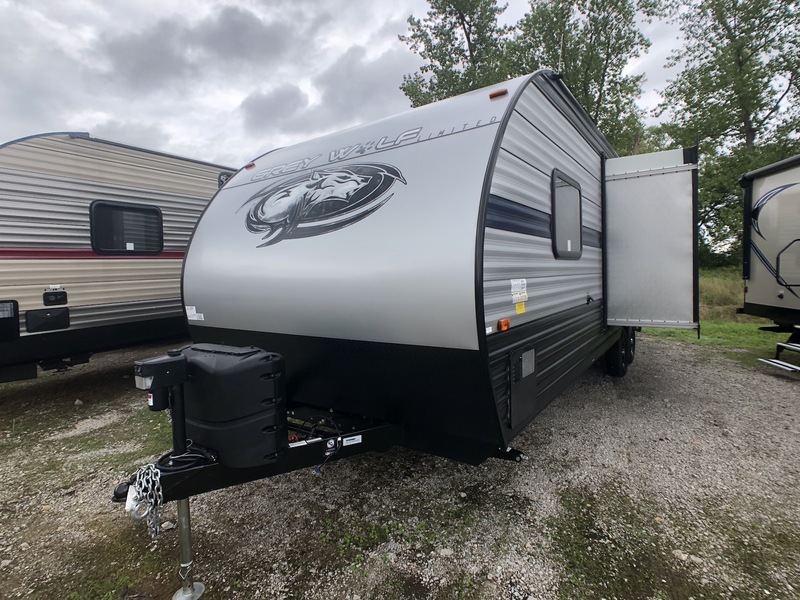 The Grey Wolf 23DBH is a great family trailer with 2 double bunk beds located in the rear next to the bathroom. 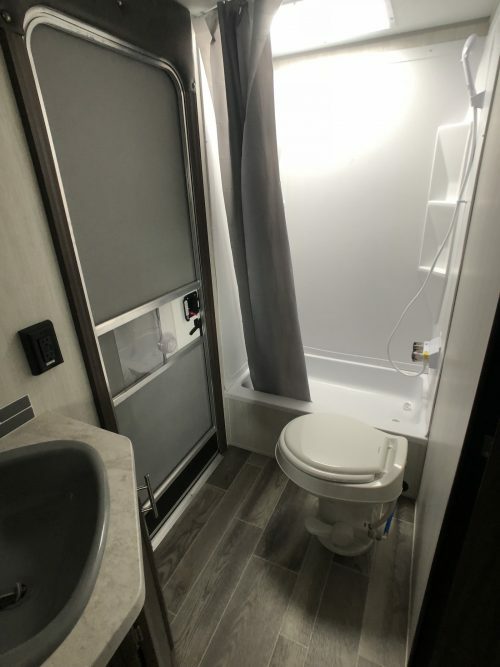 The bathroom has a tub/shower combination, toilet, and sink. 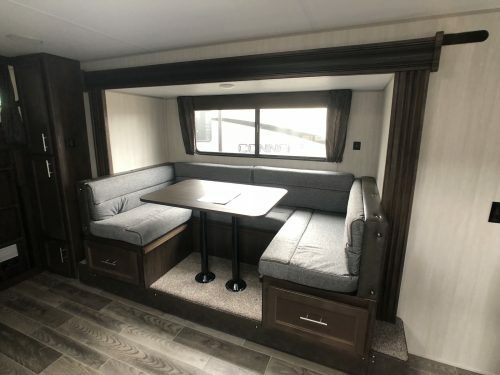 Moving forward into the main living area there is a large u-shaped dinette that is sure to fit the whole family. 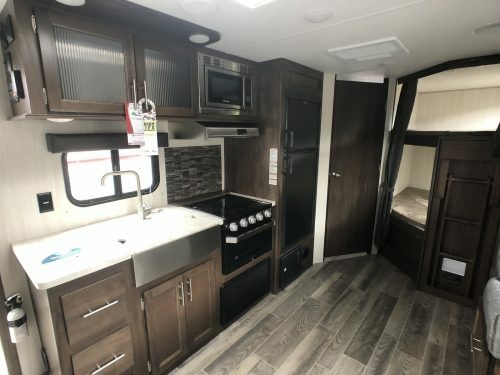 The 23DBH also has a large pantry to fit all the food your family could need on a long camping trip. The kitchen is located directly across from the dinette and features an RV 2-way refrigerator, stove/oven, microwave, and large single basin sink with pull out sprayer. 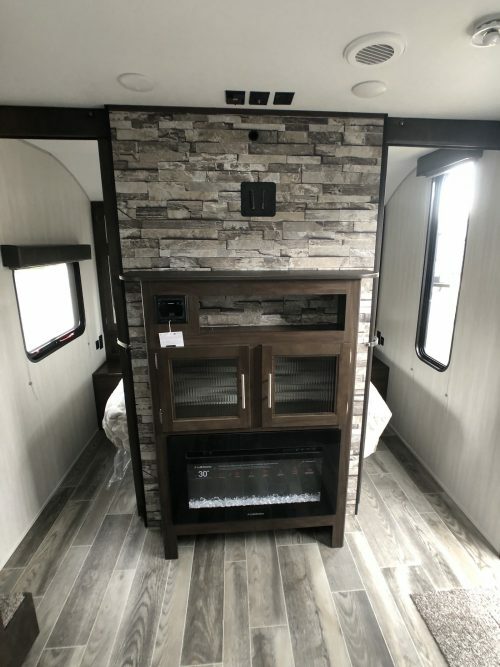 Located in the front of the main living area is the T.V. entertainment center. 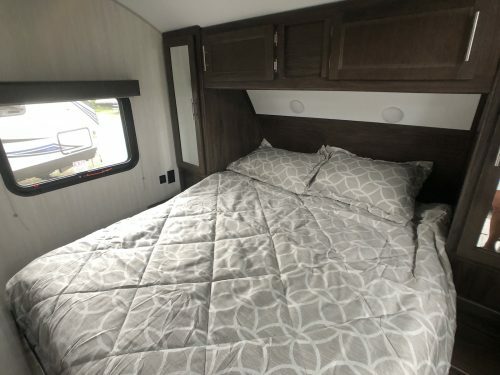 Moving into the master bedroom, there is a queen walk around bed with his and hers wardrobes on both sides of the bed. 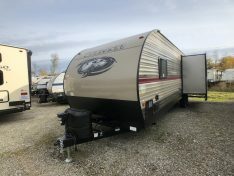 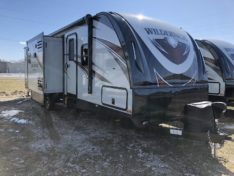 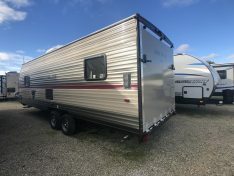 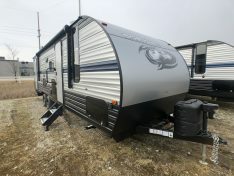 This Grey Wolf 23DBH has also been upgraded with the Limited Package; this package has some great options such as power awning, power tongue jack, and rear fold down travel rack just to name a few. 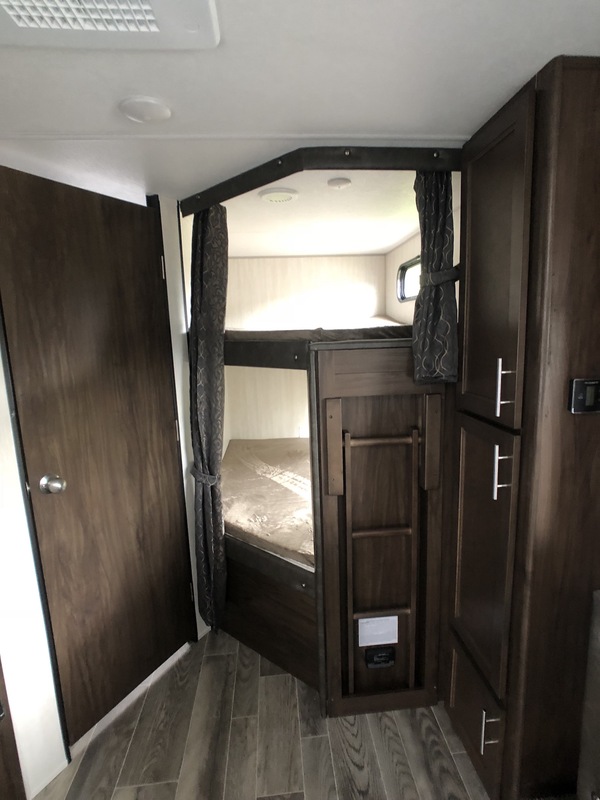 The Grey Wolf 23DBH also has a double entrance, the rear entrance is through the bathroom, and the front entrance enters into the main living area.